For women who prioritize comfort this pair of formal trousers, from Wills Womens will be a perfect pick. It has been crafted with care using a fine quality fabric which makes it pretty comfortable to wear. 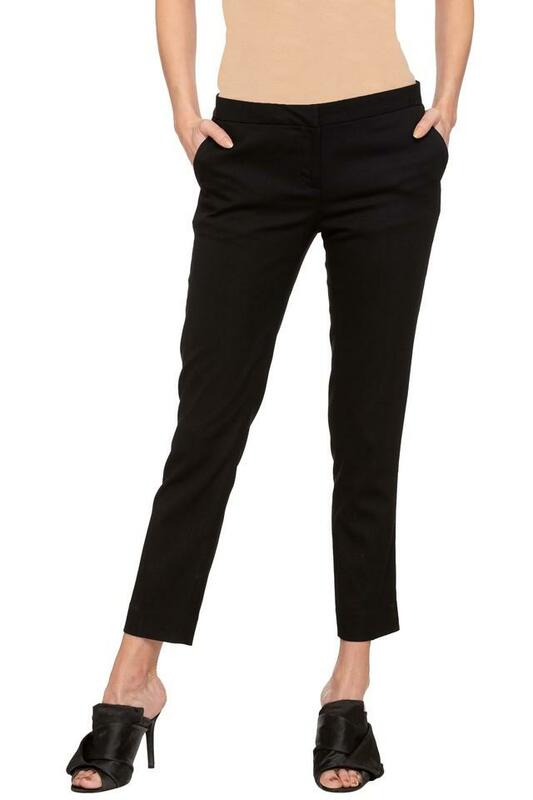 Besides, it flaunts a solid pattern along with four pockets that lends it a distinct appeal. 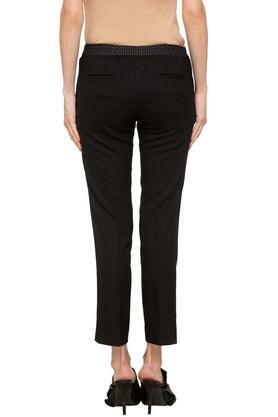 Stylize your formal look by wearing this pair of trousers which has been tailored to perfection. Club it with a shirt and a pair of heeled sandals to make a style statement.